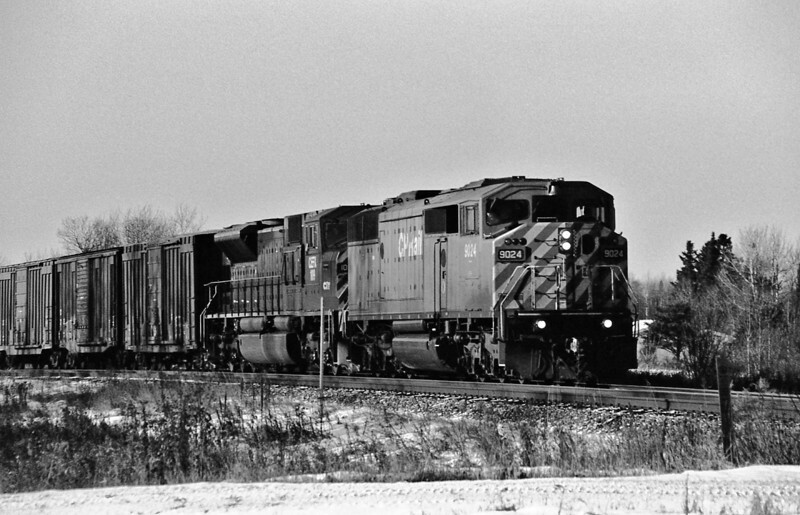 CP 9024 and CEFX 109 heading east through Barlcay Ontario. Photo taken using Ilford HP5+ black and white film that I developed with Kodak HC-110 at 20C for 5 minutes. Image taken with a Minolta Maxxum 7 film camera with a Sigma 28-300mm lens.